Who was Claus von Stauffenberg? The figure of the army officer who, at midday of July 20, 1944, set off the bomb that was meant to kill Hitler, has always been a hazy one in literature. We know the long path of the opposition that finally led to the attempted assassination, but even today we have no convincing picture of the assassin's personality. This new Stauffenberg biography is based on the latest research, takes hitherto unknown sources into account and is an attempt to reconstruct the assassin's world of ideas. The standards influencing Stauffenberg's thoughts and deeds were compatible for him with Hitler's policies for a long time. It was not until the summer of 1942 that he began to have second thoughts and place an officer's political responsibility over and above duty and discipline. When two years later he took action he felt let down by most of his fellow conspirators. 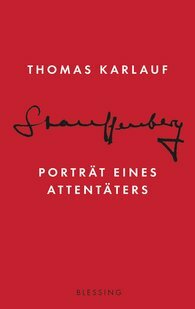 "Abstaining from any moral evaluation, very impressive and compelling analysis of Stauffenberg’s world of ideas."